GN Solids Control manufactures various mud tanks. Many customers in the world have been purchased from GN Solids Control. Recently, GN Solids Control has been received many mud tanks inquiries, such as one inquiry from Canada, one of GN Solids Control customer would like to have one minimum (1) 500bbl mixing tank with 6×5 mud pump to circulate fluid, as well as (3-4) agitators to keep the solids in this tank suspended. This Canada customer is interested in expanding operations, but we don’t typically treat fluids our operations are primarily deep well disposal. GN Solids Control has provided many sets of mixing tanks. We manufacture hundreds of mud mixing tanks every year, from 100 bbl to 10,000 bbl. Here is one typical mud mixing system based on customers’ demands. The 500bbl mixing tanks are including the following equipment , while it can be customized based on you demands. Tank size is 13×2.5×2.5m, includes walkway, ladder, guiderails etc. GNJBQ110DD, motor power is 11kw. It is fixed with double impellers based on the mud tanks. There are 3 sets mud agitators will be fixed on this mud tank. GNSLS35A-370D, includes 1 hopper and 2 sets 37kw centrifugal pumps. GN jet mud mixer can be used to adding new chemicals in to the recycled drilling mud. Besides those mud mixing tank, GN Solids Control also manufactures large mud treating mud plants. Some mud treating plants can also be provided. 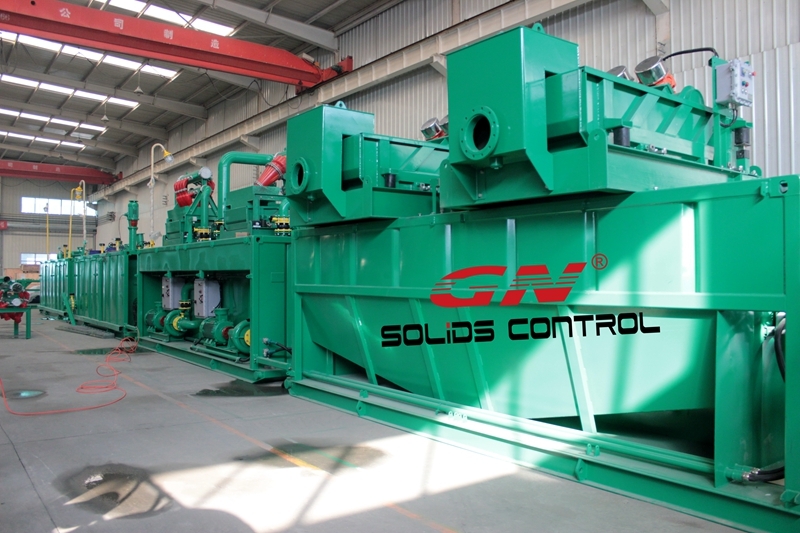 GN Solids Control is a large solids control and waste management systems. GN Solids Control now has one large warehouse in Houston, many standard solids control equipment are stocked in Houston warehouse.